A full set made for a spanish greyhound, composed by a wide collar, a tag holder collar and a training leash, all made in conker leather. The wide collar is at this moment the widest I've ever made (7 cm or 2" 3/4) and has conker padding. 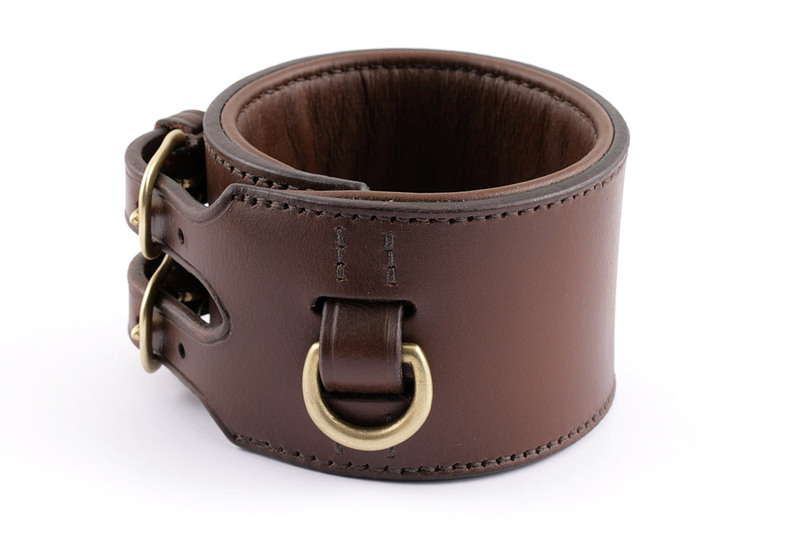 It mounts two 19 mm (3/4") rounded brass buckles. 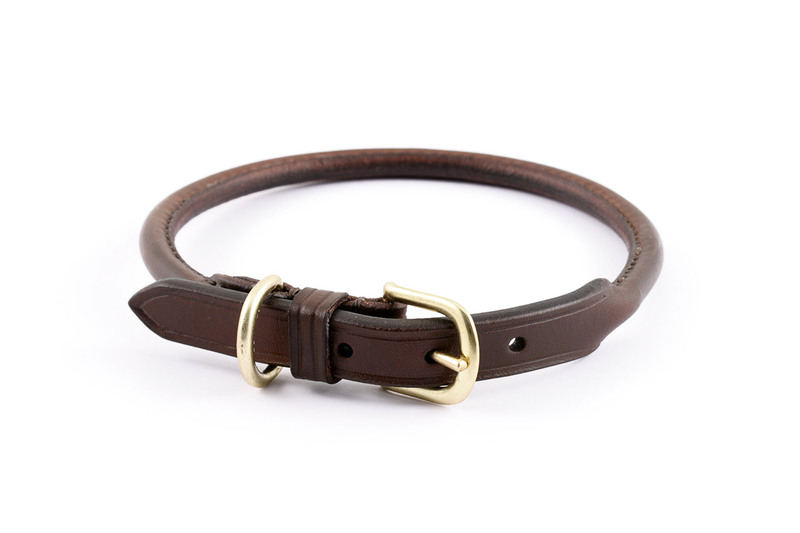 The tag holder is a rolled leather collar with a 16 mm (5/8") brass buckle. 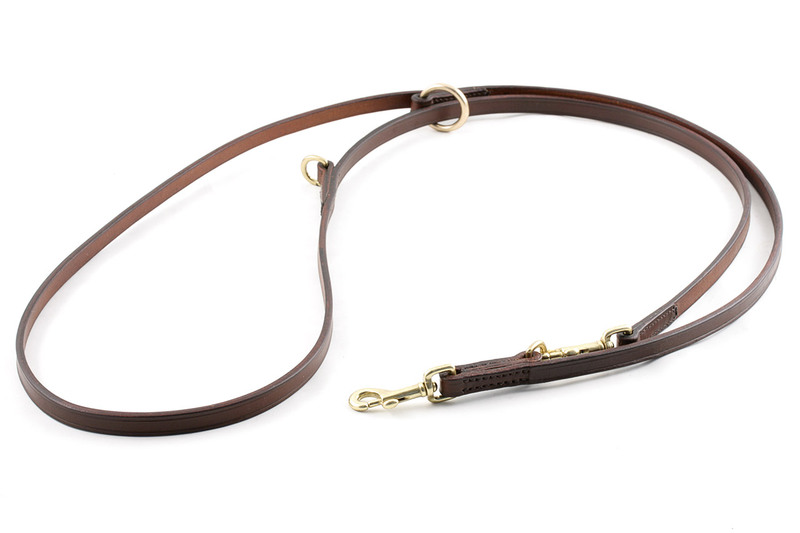 The training leash measures approx 2 m at its maximum length with handle closed. 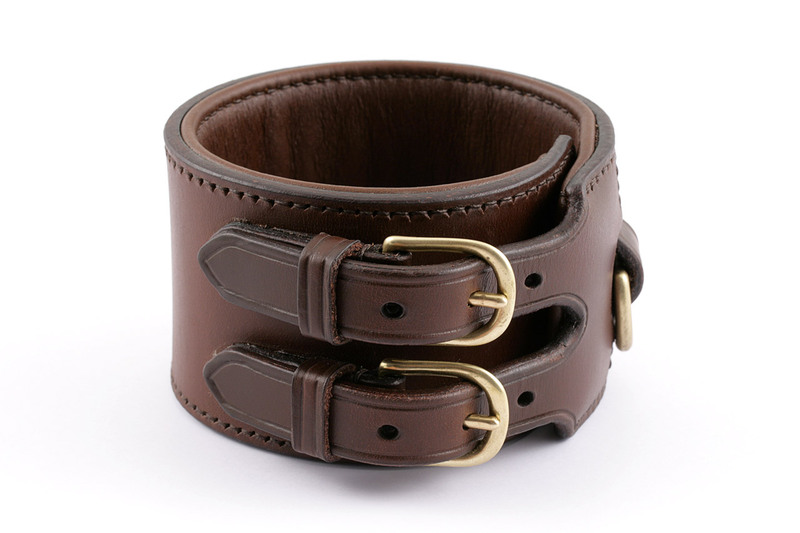 It has 3 (or 4, including full length with open handle) different adjustments and it's made from a 12 mm (1/2") leather strap.